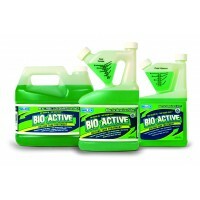 BioActive is a liquid NO SCENT version of our Bio-Pak powder holding tank treatment. The liquid version is perfect for portable potties on smaller boats but does the same job on larger holding tanks up to 40 gal. capacity. It too breaks down tissue along with waste. It cleans sensors, is non staining and one bottle is 10 treatments.